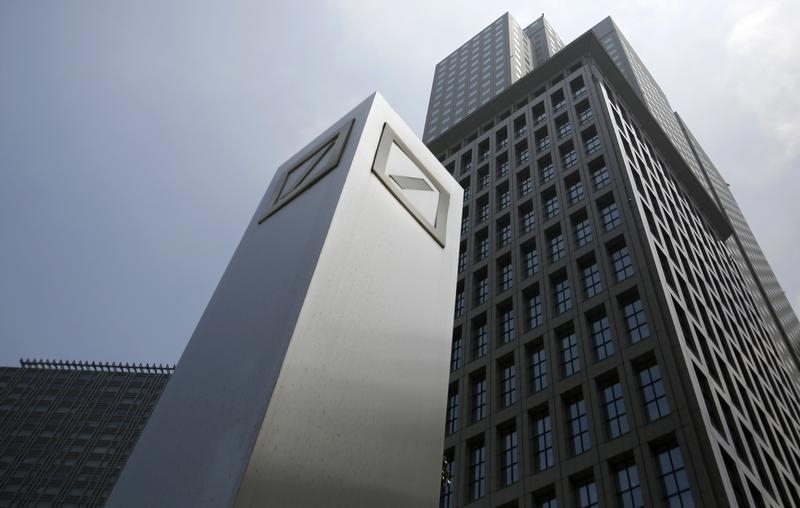 The German lender is chopping up to 17 pct of investment banking assets. That sounds hefty, but pales next to a 53 pct shrinkage at Barclays. Partly out of necessity, Deutsche is still betting that fixed income will rebound. The first quarter had as much evidence against as for. Logos of Deutsche Bank AG are seen in Tokyo July 16, 2014.